HUMANIZING THE NEW SHINY OBJECTS OF ADVERTISING — Let’s talk AI, Blockchain and Mixed Reality in a way that’s useful for marketing and advertising in the near future. Our industry loves to throw the newest tool at a problem, even if we’re not 100% sure what the technology means or why it exists. So let's dig into the salient, close future of Artificial Intelligence — how data, machine learning, and algorithms both threaten and enable advertising as we know it. Then let’s talk about Blockchain — and the ways in which a new approach to currency might prevent ad fraud and enhance the trust we place in media. Last but not least, we’ll talk about the ways Artificial and Virtual Realities enable new approaches to content and marketing as a service. Jen Faucon has lived and worked in Dubai and Singapore, Sydney and Detroit—developing new e-commerce brands, payment platforms, user experiences and integrated marketing. 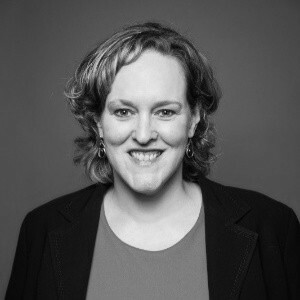 Jen (LinkedIn) serves as Chief Customer Success Officer at Codelattice, a global digital solutions provider with expertise in cybersecurity, cloud computing, AI and digital marketing. She’s worked agency-side for MRM and BBDO and iProspect, and client-side for SendItLater. She graduated from Tufts University, hold an M.Ed. from Lesley University in English as a Second Language, and is a Babson College M.B.A. candidate in Entrepreneurship and Global Management.